Last Thursday, we discussed all the valuable accessories Contempo Closet offers to help you stay organized, but we forgot to mention one very valuable item to add to your storage toolkit: wicker baskets. Wicker baskets are small, simple pieces that add a touch of class to your closet while still performing a necessary storage function. You can keep a wide variety of items in them, but we would recommend fabric accessories or small clothing items such as scarves, socks, or mittens. You could also use them in the kitchen to hold cookbooks or keep a small collection of magazines next to the bed. They’re a neat little decorative accent that can fit well in pretty much any space and any room. Overall, wicker baskets are an inexpensive, efficient way to handle storage with an accent. How do you use them in your home? 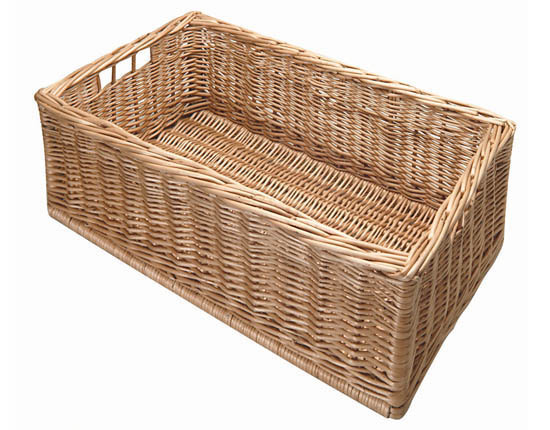 View our selection of Wicker Baskets here. This entry was posted in Closet, Home, Office, Organization, Storage and tagged accessory, bathroom, bedroom, home, Organization, storage, wicker basket. Bookmark the permalink.